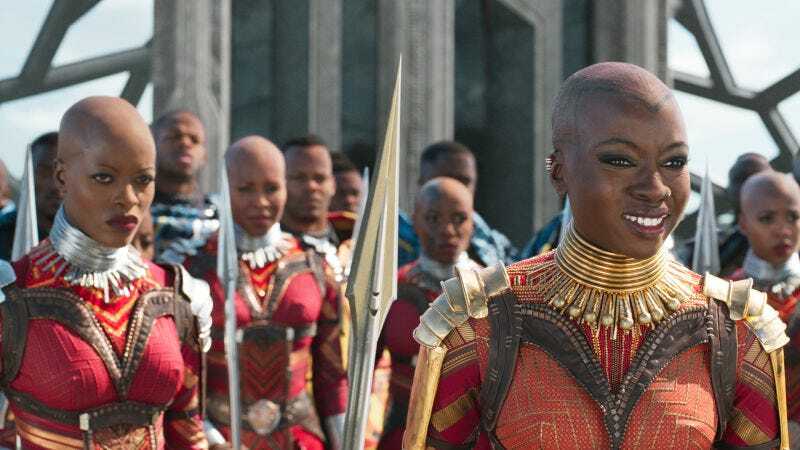 The Black Panther movie was full of awesome people doing awesome things, like T’Challa’s cool superhero stuff, Shuri’s cool science stuff, and Killmonger’s cool shirtless scenes, but it’d be tough for any of them to be as badass as the Dora Milaje, Wakanda’s army of female warriors. That team, which was led by Danai Gurira’s Okoye in the movie, is now getting its own miniseries in the comics, breaking them away from the Black Panther for some spin-off adventures with other Marvel icons. The run of one-shots will be written by Nnedi Okorafor, with art by Alberto Jiménez Alburquerque and Terry Dodson. According to Mashable, the special series will kick off in June with Amazing Spider-Man: Wakanda Forever, a story about the Dora Milaje heading to New York to “investigate a threat to national security.” As indicated by the name, their visit will include an appearance from a certain famous wall-crawler, who will probably have all sorts of fun comments to make about whatever happens. After that, the story will continue in X-Men: Wakanda Forever and then Avengers: Wakanda Forever, pairing the Dora Milaje with the merry mutants and Earth’s mightiest heroes. You can see a preview image from Marvel editor Wil Moss below.